Cardiograph – Soft for Android 2018 – Free download. 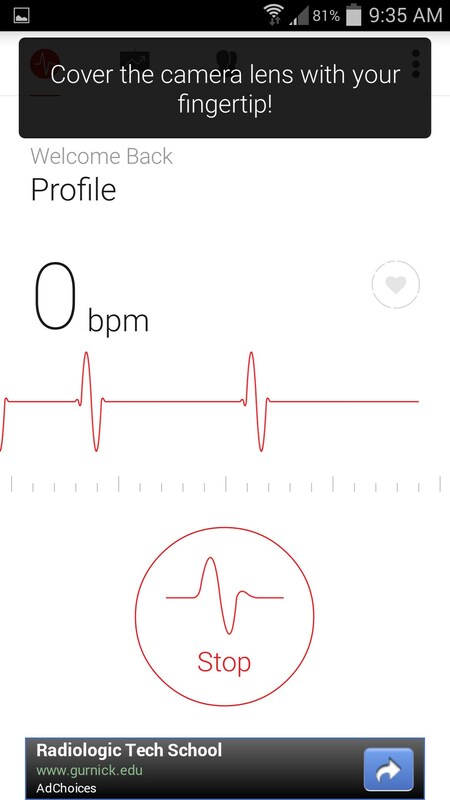 Cardiograph – Good looking and somewhat neat heart rate app. 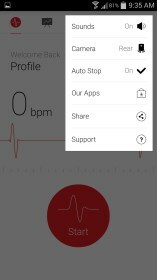 Cardiograph for Android is a heart rate monitor with audio feedback that sounds very similar to how the machines sound in real life. Or, in my case, in the movies! 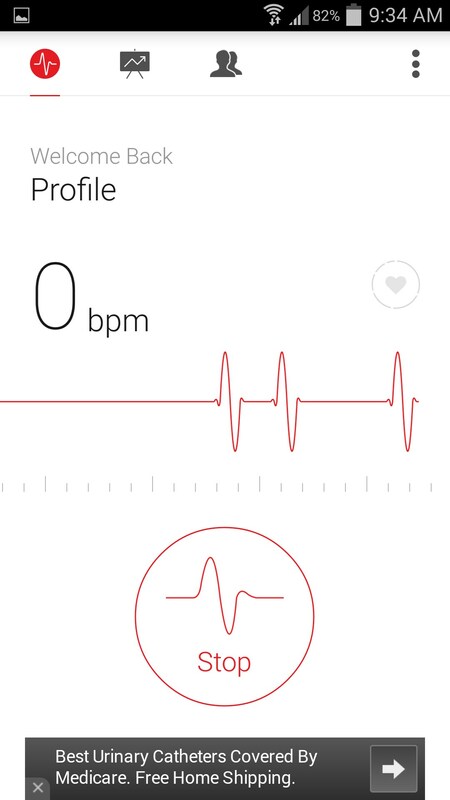 Like most other heart rate monitors, the app uses your phone’s camera and its ability to filter light in order to read your heart rate. My rear facing camera didn’t provide as good as results as my front facing camera. 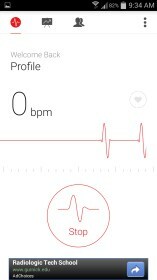 Cardiograph doesn’t really have any extra important features in terms of accuracy or notable difference. 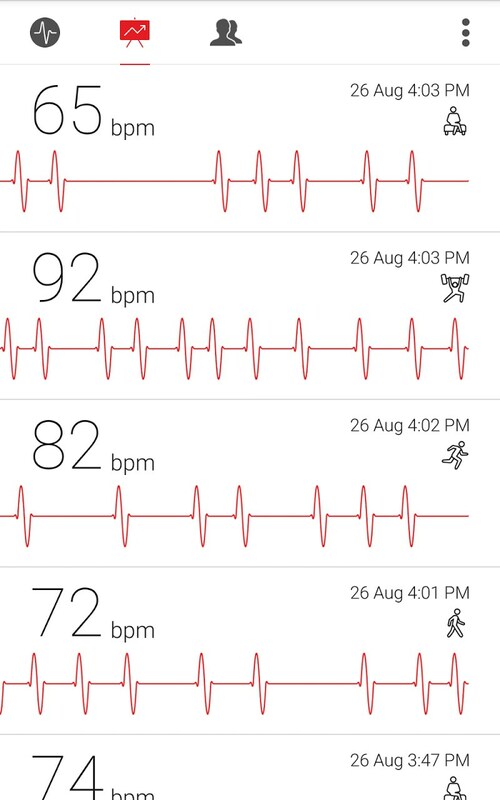 All of the heart rate monitors use the same kind of technology from your camera in order to read your pulse in a semi-accurate manner. My pulse fluctuated from 40 BPM which is really low, to something more around 62- 70 which seems closer to normal. The warning in the beginning of the app really has some merit, as it tells you this app takes no place of reliable accurate professional readings - which proves to be true just by using the app. The app feels different because of its bells and whistles. 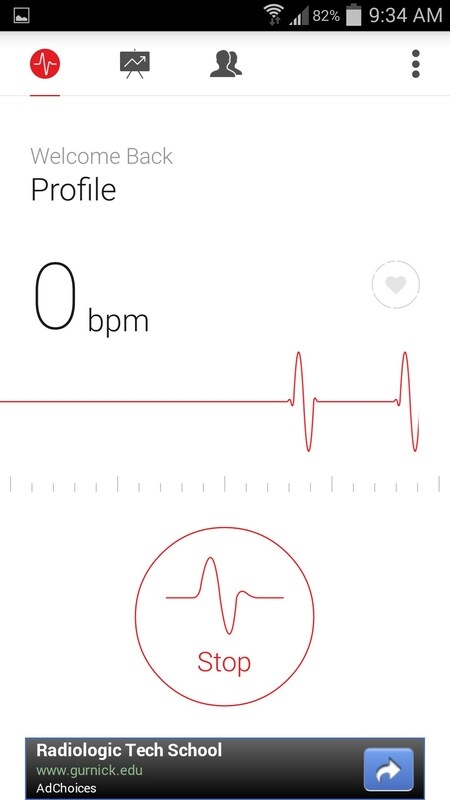 When you are recording your heartbeat with the app, you can hear loud pings (they are quite loud!) like on real heart rate monitor machines. It feels fun listening to the sounds and getting your readings; and you can see beats on the red lines bouncing up and down. 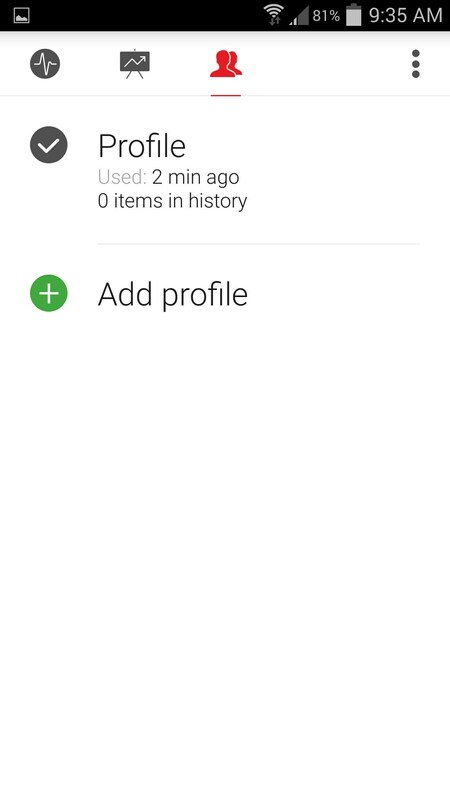 The app looks good and is very health-oriented. 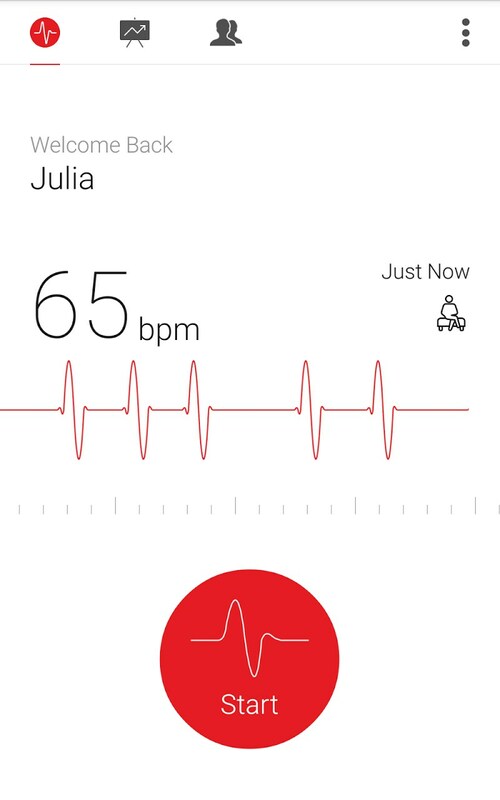 Cardiograph is just another heart rate monitor for the mobile experience that utilizes the same sort of technology found in other apps of the same style. It has a different look to it, and a premium sort of feel, which is nice. But the visual feedback (dashes in the lines that correspond to pulse) isn’t always as responsive or accurate. The same goes for the actual readings themselves.